Culture.pl interviews Kirill Karabits, who will direct the current edition of I, CULTURE Orchestra, a project of the Adam Mickiewicz Institute. 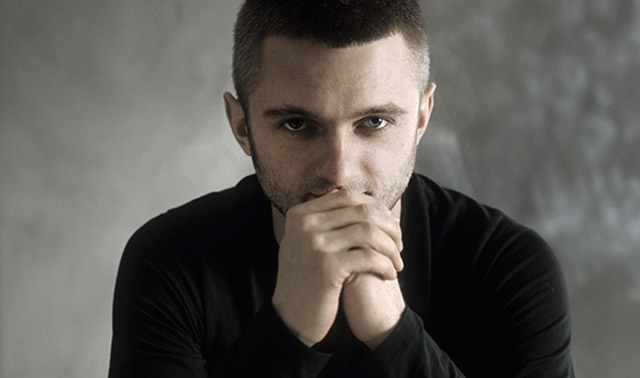 Culture.pl interviews Kirill Karabits, who will conduct the current edition of I, CULTURE Orchestra, a project of the Adam Mickiewicz Institute. The recipient of the pretigious RPS Conductor of the Year Award 2013 shares the most exciting aspects of his work with the orchestra comprising young musicians from Armenia, Azerbaijan, Belarus, Georgia, Moldova, Poland and Ukraine. Culture.pl: Over the last few years, you have been Principal Conductor for the Royal Bournemouth Symphony Orchestra. Are there any significant differences in conducting the ICO youth ensemble in comparison to conducting a professional orchestra? Kirill Karabits: Yes, the difference is huge. You need a completely different type of conducting, a different type of approach when you conduct a youth orchestra. It is an absolutely unique experience. The main and very obvious difference with a youth orchestra is that you get artists that are extremely enthusiastic about music-making and about life in general, so you have to understand how to use this energy. It is like a cup of boiling water. You have to be careful, and in the right way. Also, what is different with a youth orchestra, especially of this age, is that there are practically no limits to what you can achieve in music. A professional orchestra has its standards, the musicians are playing according to a certain level, and as a guest conductor you have to accept it from the beginning. With young musicians there is no such thing, you can develop them very quickly to very high standards. That makes it very exciting from the conducting point of view. When you start the first rehearsal you don’t know what you’ll get. The whole rehearsal process starts from scratch, but then you can achieve incredible results. They are at the age when they have done all the necessary studies, and they know the theoretical part of music, but they have less practical experience. This is very challenging for the conductor. We remember youth experiences all our lives, so it’s important to be positive and creative with them, so that they will have a favorable image of being an orchestra musician. This year’s edition of the I, CULTURE Orchestra tournee – with a residency in Gdańsk and performances in Reykjavik, Gothenburg, Copenhagen, Tallinn and Kyiv – will include compositions by Boris Lyatoshynsky, Witold Lutosławski, Béla Bartók and Sergey Prokofiev. Could you say a few words about this musical selection? Kirill Karabits: The program was conceived according to several aspects. The first aspect is to have a very strong Eastern feel to the music, as can be seen from the choice of composers. The second aspect was to inspire people to discover new music, and this is why Boris Lyatoshynsky was included in the project. He is a lesser known but very important composer in Ukraine. It is also interesting to note that he has Polish roots, as his last name shows. Finally, we have a very strong educational aspect. This meant that we had to have a piece that would allow the orchestra to progress, and not all pieces have this quality. This is where Bartók’s Concerto for Orchestra comes in. Then we have Prokofiev’s Piano Concerto No. 1, which is very symbolic in this case because Prokofiev wrote it at a very young age. Additionally we will have an example Polish talent –currently being established as a world-class composer – with Lutosławski’s Concerto for Cello and Orchestra. What personal touch will you add to this group coming from all over Central and Eastern Europe and South Caucasus? Kirill Karabits: First of all, it is such a unique experience to be working with musicians from this area. I also come from here, so I understand the many practicalities of modern life in the region. Although we are from different generations I think I do understand them. I have been conducting for almost 20 years now, so I will try to help them in getting practical experience, so that they enjoy working in an orchestra. Would you say this geographical proximity creates a perceptible connection between the members of the orchestra? Even looking at the languages, I see a connection. As a Ukrainian, I understand Polish quite well, and when I was in Poland I spoke Ukrainian to the orchestra! Language is not only the words that we speak, it is our mentality, it is the way we present our lives, so we do have something in common even though we come from diverse backgrounds. That is the fascinating thing about this project: all seven countries are completely different, with different histories – especially in recent years, since after the fall of the Soviet Union these countries have started going their own way. But in the end I believe we do have something in common, because we always end up understanding one another.